Make your reservation in sufficient time prior to the travel date to make sure you get the best offers and prices. Provide your contact data in the departure and destination area to help us contact you when needed. It is preferred to provide your mobile phone number for us to be able to communicate with you through short messages. You may contact the embassies of the countries you are flying to, in order to check all specific conditions on passport and visa requirements before your trip. Keep a copy of your passport in a separate place from the original passport, and keep another copy with someone in your country with all the details about your travel plan. Get travel health insurance if required, also keep a copy of the insurance policy and contact details of the insurance source to use when needed. Whatever the motives that stimulate you to travel; whether it’s for work, tourism, study or visiting relatives, you surely aspire to maximal enjoyment. Pleasure should be one of the most important goals that drive you to go to the airline office and book tickets. Laughter should be your companion during every minute and second on your journey. You should feel that you’ve become a different and more optimistic person. We want you to achieve all of this, therefore we’re going to give you a few recommendations that will help you enjoy your travel. Traveling is an exciting experience, and preparing for it is a pleasure itself. However, nothing in the world can go accordingly without good planning. Did you check your passport, if you need to renew it and/or if you may need a visa? Did you pack your bag and prepare all your belongings that you need and that you may need? Well, that is not enough! Booking tickets and a hotel room is not all. You should first check your budget in order to not be in trouble when you run out of money. You should also check the places you will visit and the activities you may enjoy. If you like bicycling, some places don’t allow that. On the other hand, if you are traveling to India, for instance, you will have a wonderful experience with bicycling in the countryside. The same issue goes with surfing in Hawaii. Meanwhile, if you are visiting Rome, and you are interested in the opera, then you’re absolutely in the right place. Make sure that your interests and plans suit the nature of the place where you’re going. Search for the local events that may be happening in your area which you may be interested in. Don’t be an unprepared reckless traveler. Make sure before leaving, that you have your passport, visa, bags, money, credit card, suitable clothes, maps, chargers for your mobile, camera and/or laptop. You may also need a dictionary to help you communicate, especially if you’re traveling to a country where they speak a foreign language. You should be aware of the weather conditions during your stay, since it’s a major factor that will affect your trip. You can check the weather forecast for the coming weeks, thus preventing you from facing any unwanted hassles regarding this issue. Did you know that summer’s in Australia start in December and end on the end of February? More of a reason to spend the Christmas and New Year vacation in Australia! Watching the news and following the local events of the country you are going to is important if you want a problem-free and safe trip. Don’t forget to read about the country’s health reports from international sites to be sure that you are traveling to a healthy environment. To have knowledge about the climate, local security and health news will ease your journey and make your stay more enjoyable. Travelling nowadays is easier and more flexible than any time before. You should take advantage of all the technology advances of the internet and smart devices. You can now book your flight, hotel and bus tickets online. You can also shop and buy what you need while traveling, from online e-commerce platforms and receive the product to your doorstep. You will face no trouble knowing about the news, weather conditions, customs, traditions and cultures of the place you’re going to, since you can get them while you’re relaxing on your couch. There are many applications that you can download directly onto your smartphone that can help you communicate with other travelers around the world. It was never easier to check places you want to visit, get helpful news, share experiences and even accommodations. Which is why you should definitely take advantage of technology as much as possible to make your journey easier, more interesting and advantageous. To travel is to get out of your comfort zone, to change your daily lifestyle and to break your routine. Try to travel with an open time schedule. Give up your conservation and allow yourself to explore life and break the shackles. Give yourself the chance to go out and try new things, like discovering new delicious food and cultures. Cast your caution and fears away, unleash yourself and enjoy. One of the main aspects of traveling is to meet and mix with people, share their daily lives and learn about their lifestyle, discover many rare things, listen to their exciting stories and learn about their different lifestyle habits. Local people are always the best source of information. They’ll always have the most accurate answers for your queries, while having the best recommendations. When you meet different people with different cultures, you’ll learn their true values of love, tolerance, justice, participation, humbleness and cooperation. The humanity and social values you gain from travel are more than its cost. While getting to know local people, you should also try to meet some tourists as well. Then again, they’re also out to have a good time just like you. As we say, the more the merrier! Make sure you’re going to the right place, avoid overpriced places. Sometimes a touristic advertisement on any television station can be exaggeratedly overpriced. You can plan your journey according to your budget. If you want to go on a trip with the lowest possible cost, you have to take advantage of the low season, where there may be mass reductions of prices from airline tickets and hotels. You can also ask locals for directions to small local restaurants that offer traditional tasty food at reasonable prices, instead of going to the touristic restaurants. Use public transportation, such as; subways, trains, and buses, instead of renting a car or taxi. Take a lot of photos, carry a notebook and write down your memories, buy gifts and souvenirs and keep your memories with each person and culture you learn about. Enjoy! Traveling is one of the oldest hobbies of human beings. Since ancient times, man has moved from one place to another in continuous migration, in a strong desire for exploration, knowledge and discovery of our world’s secrets. 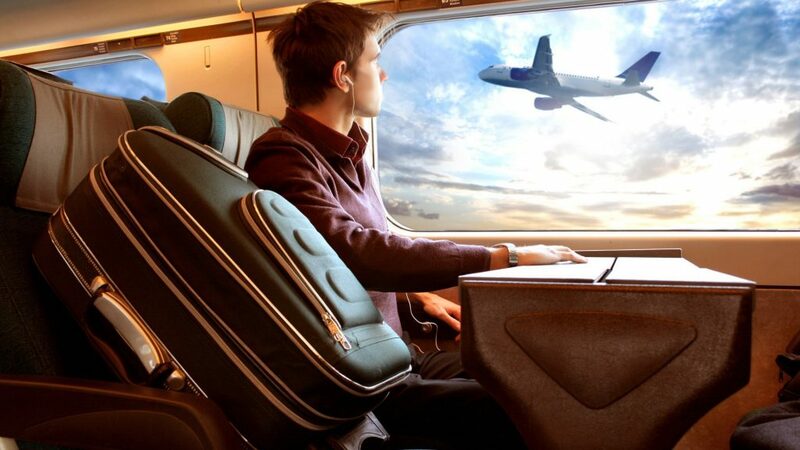 The current advance, the means of travel, the comfort available through transportation, accommodation, travel equipment and even applications that involve searching and booking flights; all of this has made the travel experience easier and better than any time before. Traveling is a wonderful experience in many ways and it achieves many benefits; mental, health and psychological. Even if you’re satisfied with the way you’re currently living, no one can ever have too many life-changing experiences. 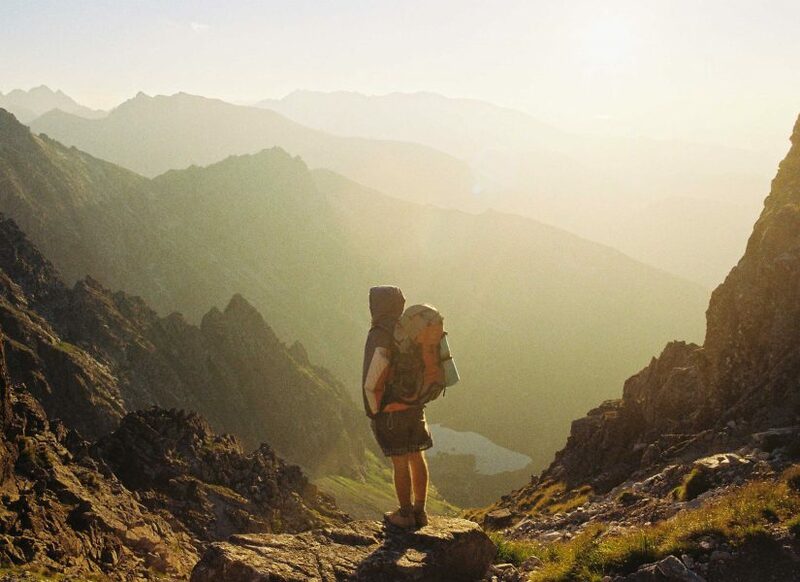 Traveling is good for your health, and that has been proved by many researchers, which have confirmed that traveling to different places and various environments stimulate antibodies formation that promote the immune system. Researchers have also found that; travel promotes brain health, reduces the risk of heart disease and improves body fitness because of the different activities done by the traveler and so on. When you want to take a break from your stressful job and responsibilities you should pack your luggage and travel. It will improve your psychological condition. Traveling helps you deal with many difficulties, such as depression, anxiety and introversion. It may also help you break your daily routine, restore your stability and help you discover yourself during many circumstances that may take place. Traveling also enhances your self-confidence, teaches you tolerance, patience and the ability to adapt to unusual environments. It also grants you peace, as travel is the food for thought. Traveling can change your life completely by opening your mind to new cultures. Exploring the incredible diversity of habits, traditions, cultures and ideas will open your eyes to the different ways that others live. You will be able to meet new people, know about new places and live new experiences and tell exciting stories. It is a chance to enrich your life with a better understanding of others and their lifestyle. It is said that, “the world is a book, and those who have not traveled yet have only read one page of it”. To travel is an opportunity to learn more, live new experiences and gain skills that you did not have before. The most important of which, is learning new languages, as you will have to communicate with others in their own language… especially if you travel to a country where people do not speak your language. You will learn communication skills, expand your knowledge, acquire the spirit of adventure and discover how to be creative. You may also find new ideas for your projects, work or business. You will learn many skills from the communities you visit, many things that you can’t learn at any school. Like we say, experience is the best teacher. People always seek to make new relationships with others and gain new acquaintances. Traveling is one of the best ways to do this. The people you meet on your journeys will add much to your life and open your eyes to new perspectives you’ve never had before. Knowing good people in any direction you head to, will make you feel safe and secure. In addition, it can also help you save a lot of costs and troubles. Surely, this is an undisputed point. To travel is one of the most amusing activities that adds pleasure to one’s life by having a variety of great experiences and amazing distinct challenges. You can experience many interesting adventures: skiing on the mountains of Beirut, camel riding in the Algerian desert, taking pictures with Sphinx in Cairo, enjoying the charm of Bosphorus in Turkey, the beauty of nature in the English countryside, the amazing diving in Bahrain and walking in the Champs-Elysées in Paris. You can enjoy relaxing on the beach or feel the adrenaline while parachute jumping in Dubai. You can try the traditional food, see the most mesmerizing views and take the best souvenirs. Nothing can give you the pleasure of experiencing those things as much as traveling does. We all know, if something is taken away from you, even if it’s not considered of great value, you will only then appreciate the value of what you had. When you spend a period of time away from your home, family and friends, you will miss all of the things you were accustomed to. When less things are available, you will be grateful for everything you possess, and appreciate what you already have more and more, thus giving you a great sense of satisfaction. Of course, you won’t need a fortune to enjoy your vacation, but whatever destination you’re heading to, the most important process during traveling is preparing your luggage as properly as you can, since it will be your companion during your journey. Your luggage is the most important item after your passport and tickets. Remember to prepare your luggage in a proper way so that you don’t face any problems. -There is a certain item of luggage for every destination. -Know what is allowed and prohibited. Traveling to Damascus differs from traveling to Guangzhou, China, which differs from traveling to Kuala Lumpur, which again, differs from traveling to Riyadh. There are certain items that suit the city you intend to visit. 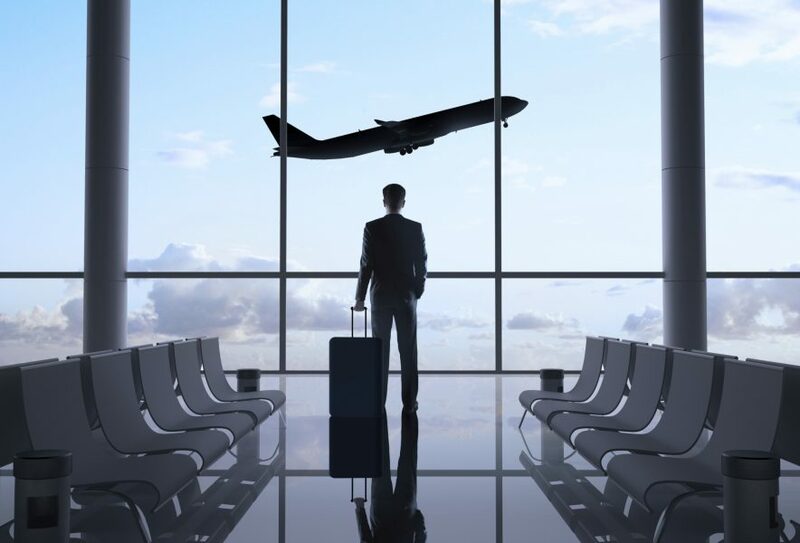 For instance, what you may have in your suitcase for spending a safari holiday in Khartoum, is absolutely different from what you may carry on a journey to explore the charm of Beirut, the Lebanese capital, and surely differs from what you may carry in a suitcase for a business trip in Dubai. At first, ask yourself: Why are you traveling to that destination? Then you have to research the area of your chosen destination; Read about things such as customs, traditions and climate, to be able to prepare the items that suit the area. It is important to not forget these objects: some suitable clothes, your smart device(s), a camera and any type of medication you are likely to use. Try to pack early, the earlier the better. Packing your luggage not long before the date of your trip may confuse you and cause you to forget many items. Start packing at least five days before traveling, so that you will have more time to arrange your belongings and be able to remember everything you need. Whenever you remember something, immediately pack it in your bag. Packing your bags early before traveling will help you to avoid associated pre-travel tension and will give you enough space to relax and enjoy your travels. It is better to set a list of everything you may need on your trip. Do not exhaust yourself by taking too much luggage along with you. Take only the necessities that you will need for sure. You will definitely need clothes, however you can’t take your whole closet! You may take lots of clothes and not find time to wear them all, and while the climate may change; it may be cold in the springtime in some areas, so it’s a good idea to take a light coat, but not all the clothes you usually wear in the wintertime. If your journey is going to be on the shores of the sea, the list will be completely different, since your necessities will differ. You may take items like swimwear, sunscreen and other similar objects. Forgetting something may make you grumpy. Therefore, putting a list including everything you need to take with you, will make you feel more organized and comfortable. 4 – Arrangement, arrangement then arrangement! You don’t want your bag to look chaotic, so try to organize things in an orderly fashion. Put similarly related objects close to one another. Put all types of clothes on one side after folding them appropriately. Place toiletries in a small private pouch in the luggage. Do not put shoes directly next to your clothes. It is advisable to use a tight bag for them. Concerning drugs or quasi-pharmaceutical substances, they should be placed in a separate pocket. This arrangement and order has several benefits, it protects clothes; especially from creasing, facilitates finding what you need and even gives you extra space for gifts and souvenirs, instead of buying additional bags. You should not put electronic devices and breakable objects, such as a camera or laptop inside the bag, otherwise they will be liable to shatter during the transportation of the bag. Concerning liquid objects, you should be careful, since they can spill on your bag and spoil everything. Do avoid putting them in your bag as much as possible. If you are obligated to put some type of liquid in your bag, make sure to put it in a tight bag where it won’t be possible for the liquid to seep through. Whatever the country that you’re visiting is, it has, undoubtedly, different customs and habits that you won’t find in your country, so you have to ask, research and learn about what you can and can’t take with you. 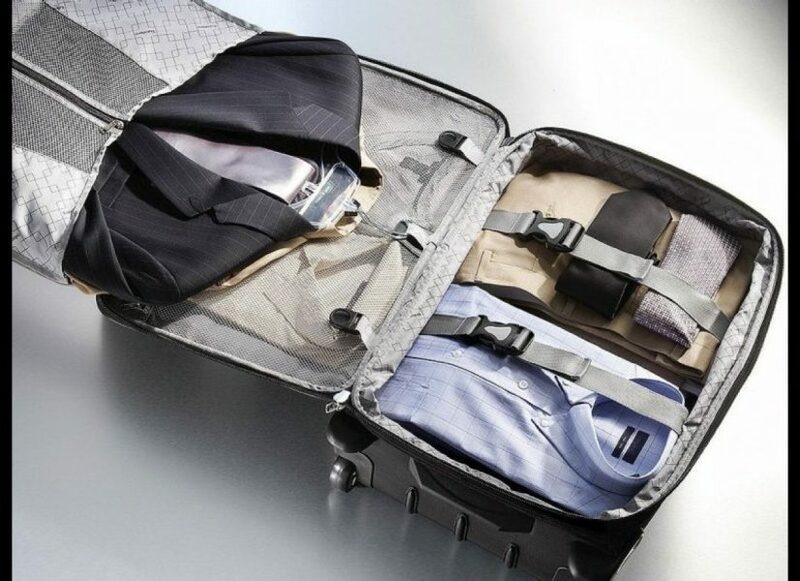 If you decide to go to Riyadh, for instance, you should pack some decent clothes in your bag. In Bangladesh, you can’t take thin plastic bags with you, because they’re banned there. You should know that some drugs are prohibited in some places. Also, if you intend to take some yellow clothes while visiting Malaysia, you should reconsider it since yellow clothes are also banned. Check the things you can put in your bag without causing any trouble for you at the airport or in the country where you intend to enjoy your trip. In addition, be sure to carry the weight allowed in your luggage before departure to avoid any unexpected mulct. Write your name on your bags or attach a label on them to be able to identify them among other similar bags in the crowd in the airport hall.